I do love a Brooks Cottage tour and, as you would expect, there is some great content available for you today: not only my review, which I know is the pièce de résistance 😉, but there's also an extract and a giveaway. 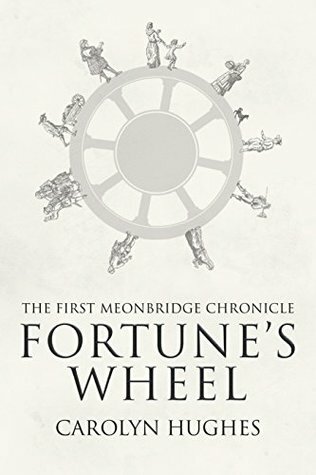 If you're not successful in the giveaway, I really do urge you to pick up a copy of Fortune's Wheel - you won't regret it! Although she understands their demands, Alice is disheartened that the search for Agnes is once more put on hold. When one of the rebels is killed, and then the lord's son is found murdered, it seems the two deaths may be connected, both to each other and to Agnes’s disappearance. It's no secret that I enjoy reading historical fiction, but it's not often you come across a book set in the 14th Century. The Black Death struck Britain between June 1348 and December 1349, and is referred to in Fortune's Wheel as the mortality. No family was safe from this terrible plague, with many whole families being wiped out and others left starving after losing their main breadwinner. There are some impressive strong female characters in Fortune's Wheel. None more so that Alice atte Wode who not only lost her husband and son in the mortality, but her daughter, Agnes, went missing after a rumoured affair with Philip de Bohun, heir to the lord of the manor. Alice is like the glue that binds the women of Meonbridge together, from her ladyship, Lady Margaret de Bohun to Eleanor Titherige, who inherited her father's farm after he succumbed to the plague. Whilst Alice is there to lend an ear to everyone in the village, she is carrying around her own tragedy: the mystery surrounding her daughter's disappearance. Alice's son John is determined to find out what happened to his sister and will go to any lengths to find out, even arguing with Sir Philip who may know more about Agnes than we realise. I don't know a great deal about medieval history, but I certainly learned a thing or two whilst reading Fortune's Wheel, without feeling as if I had been given a history lesson. I had never heard of cottars and villeins and was fascinated by the hierarchy of peasants during these dark times. It was almost like the beginning of the unions as they nominated somebody to stand up to the lord of the manor to argue for more pay. Unfortunately, putting your head about the parapet could see it being chopped off and there are one or two dastardly deeds in Fortune's Wheel that succeed in keeping us guessing. 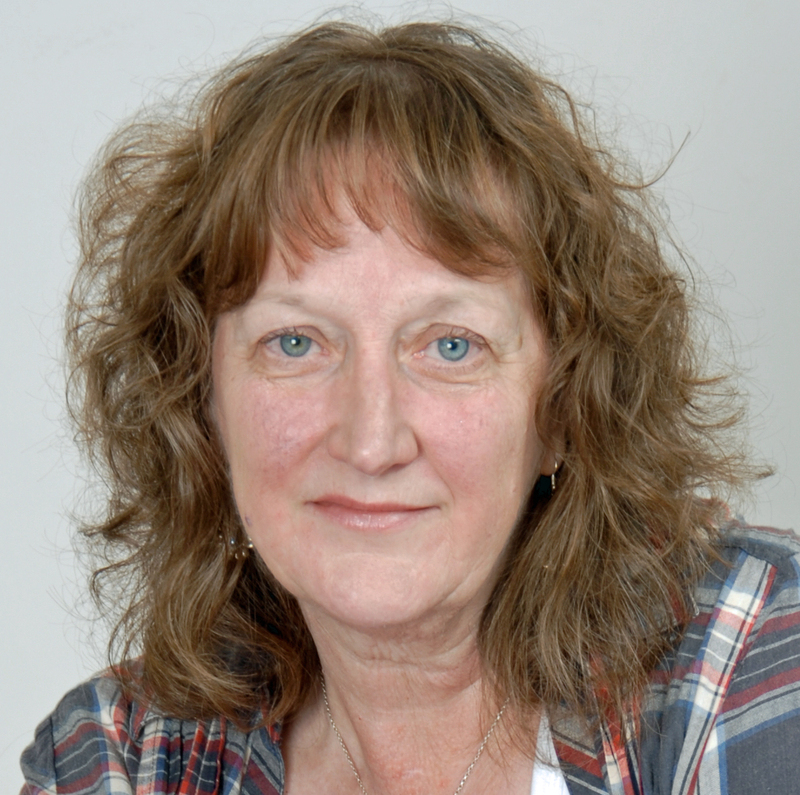 Let's just say that some people in Meonbridge are not exactly filled with community spirit. Historical fiction can sometimes be dry and hard-going but the complete opposite is true of Fortune's Wheel. 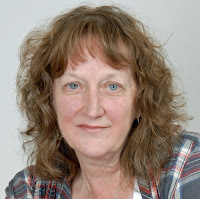 I have to give a special shout out to the invaluable cast of characters listed at the beginning - many authors think readers have photographic memories and can cope with an abundance of characters being thrown at us all at once, so many thanks to Carolyn Hughes for the cheat sheet. 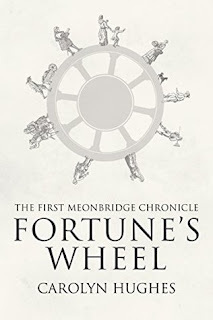 I found Fortune's Wheel completely intriguing, fascinating and surprisingly emotional - I had become so emotionally invested in the characters that I was devastated for Thomas and Joan Miller, who struggled to cope after the loss of their five sons, and I admit to being close to tears at the end of the book when we learn of Agnes' fate. I swiftly dried the tears from my eyes as, being book 1 in a series, I know that I can look forward to catching up with these colourful characters again in the future. Fortune's Wheel isn't just for historical fiction lovers, I'm absolutely positive that many readers will enjoy this medieval saga. Riveting history homework that got top marks from me - more please, Carolyn!